Hypnosis can be a powerful tool for change. Working with the subconscious mind through hypnosis is an effective and positive way to move forward with your life with more confidence, calm and generally gaining a more positive attitude. 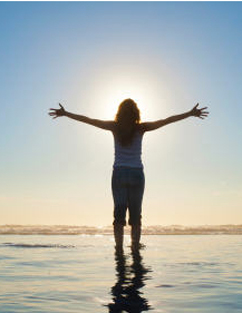 Whether it is to over come fears, anxieties, bad habits, increase confidence or release old negative patterns of behavior that is not working for you, hypnotherapy can help you reach your life goals more easily. With many years of experience and study in the areas of healthy lifestyles, mental, physical and emotionally balancing programs in the fields holistic healing and psychology, we work together bringing you to a healthier, balanced place in your life. We use hypnotherapy along with other tools such as cognitive therapies and effective techniques, which you learn, that allow you to empower yourself and reach your full potential. I use hypnotherapy with true, empathetic devotion to my work and my clients well being. Hypnosis is a calming, safe, secure experience. Hypnotherapy is all about using hypnosis to open the door to your subconscious mind, that place where your strength truly lies. But your hypnotherapist is only part of a team. We’ll work together to unlock the power of your subconscious. You may be surprised at how quickly hypnotherapy can produce results, and how much you’ll enjoy the powerful and positive process of working with a hypnotherapist. And with hypnosis, in Los Angeles or anywhere, it’s your mind doing the work. I’ll be with you every step of the way, no matter how long it takes. And every time you leave our hypnotherapy session, you’ll leave happier, calmer, more relaxed and in control. And you’ll leave with something more – techniques and exercises you can use at home, and a tape, custom-made only for you, to use before you sleep. Unlock the door to your powerful subconscious mind. These are some of the issues that can be successfully treated with hypnosis. *Hypnotherapists are not licensed by the state of California as healing arts practitioners. For your protection, work on some issues may require a consultation and referral from a licensed physician or mental health professional. I love being a hypnotherapist. I’ve seen so many wonderful outcomes and positive changes using Hypnosis in Los Angeles and through my phone sessions. Hypnosis brings proven results. Hypnotherapy can help you find calm and peace within. Hypnosis in Los Angeles is more affordable than you think. Hypnotherapy can give you the life you want. Please feel free to tour my website, and learn more about how a hypnotherapist can help you. LOS ANGELES HYPNOSIS is offered by Ava Evans, the best Certified Hypnotherapist in LA! American Psychotherapy and Medical Hypnosis Assoc.